What's new in low voltage? photovoltaic, train cables and building wire applications. The crosshead is designed to meet the toughest requirements in the variety of material selection in the photovoltaic applications. 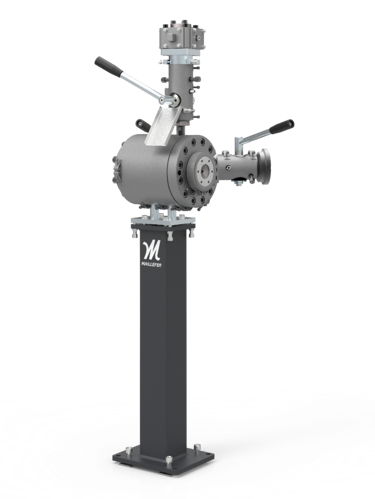 The crosshead can be used in single, dual or three layer applications. For a single layer extrusion, a dummy distributor replaces the striping or skin extrusion distributor. High performance, excellent concentricity and user friendliness can be achieved with this fixed centered crosshead. The main distributors of this crosshead are conical shaped and very easy to dismantle and clean without special tools. A radial disk type distributor is used in striping or skin extrusion.